Remarkable and confusing headlines in today’s Hebrew newspapers as both frontrunners, Likud leader, Israeli Prime Minister Binyamin Netanyahu, and Kahol-Lavan leader Benny Gantz declared victory last night after the polling stations closed. The first exit polls at 10PM gave Gantz a slight lead over Likud and Gantz made his victory speech around 11PM. But because the results were so close, newspapers did not ‘go to bed’ at midnight, but waited for more ballots to be counted and by 2AM things had turned around. 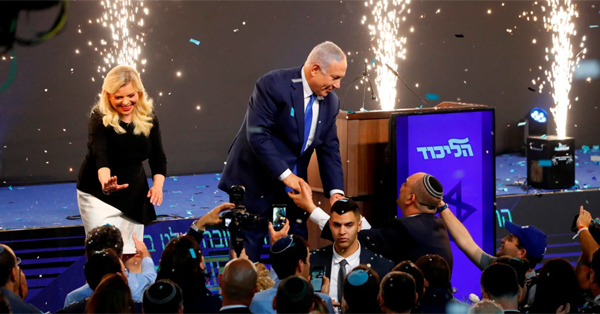 The two parties remained neck and neck, but the new results put the right-wing bloc ahead of the left-wing and then Netanyahu gave his victory speech. With the exception of Avigdor Lieberman, all the right-wing parties declared they will recommend that Netanyahu form the next coalition government - his fifth. [UPDATE: Wednesday evening, Gantz gave his concession speech.] The other top stories to come out of results were the fact that hardline right-wingers, Education Minister Naftali Bennett and Justice Minister Ayelet Shaked, did not make it into the Knesset with their new Hayamin Hadash party. Nor did Moshe Feiglin, who wanted to build a Third-Temple and legalize pot. Moreover, the Labor party crashed to a single-digit number of seats, the lowest it has ever had, prompting some to call for its chief, Avi Gabbay, to step down. Haaretz has ‘live updates’ in English. Gantz Proves There Is an Alternative to Netanyahu (Anshel Pfeffer, Haaretz+) Several clear conclusions are emerging on this Election Day about both Bibi and his supporters. Starting over (Shai Piron, Yedioth)The morning after these tainting and divisive elections, we must look in the mirror and go out, together, on a journey of national reconciliation...Like the morning prayer, we should read the Declaration of Independence this morning again and again...This morning, we will look in the eyes of the children and promise them that we will go out a renewed journey. We won't give up on the dream. We will do everything that Israel will be worthy for our children. *Setting the stage for post-Netanyahu politics (Shlomo Pyuterkovsky, Yedioth/Ynet) With indictments looming, it is likely that this will be the prime minister's final term – if he wins, making this election a test of who will succeed him and his Likud party as the de facto leaders of the right-wing. No Refuge for a Scofflaw PM (Haaretz Editorial) Kahol Lavan has succeeded in presenting an alternative to a Likud government under Netanyahu. At the moment of truth, we must recognize the truth: Our Messi is called Benjamin Netanyahu (Michael Kleiner, Maariv) No one is willing to part with Messi and no one counts the years, not as long as he delivers the goods. Bibi didn’t deliver the goods in soccer, but rather in much more important fields. Netanyahu's Incitement Against Arabs in 2015 Proved a Big Success in Israel's 2019 Election (Noa Landau, Haaretz+) Crisis of low voter turnout in the Arab sector has many fathers: Netanyahu's systematic incitement, Gantz and Lapid who did nothing to stop his racist campaign and the nation-state law. But Arab representatives are not without blame. Not everything is acceptable Bibi, in the meantime (Nachum Barnea, Yedioth Hebrew) Morning will not be exactly the dawn of a new day, nor the dawn of an old day. The exit polls of the television networks differ from each other. In one thing, there is agreement between them: Netanyahu will have a hard time forming a coalition and Ganz even harder. In such cases, the simple solution is to cut - to form a government based on the two major parties, with a rotating prime minister. Likud and Labor did so in 1984, even though the ideological distance between Shamir and Peres was much greater than the distance between Gantz and Netanyahu. What makes this solution very difficult is Netanyahu - the criminal cases that are being put before him, the cases that have yet to be investigated and his problematic election campaign. Kahol-Lavan will be happy to join the Likud, but not to join Netanyahu. Lapid and Ya'alon strongly oppose it. Gantz, who at the beginning of his political career expressed willingness to sit with Netanyahu, changed his mind during the campaign. What is currently working for the establishment of a right-wing government headed by Netanyahu are the numbers. The samples on Channels 11 and 13 give a majority to those parties that committed themselves to the voters to recommend a government headed by him. Netanyahu's problem is that he has no alternative, he has no room to maneuver. The potential partners are small, frustrated and hungry. With the ultra-Orthodox, he will manage, but the chances are that Kahlon, and Bennett if he passes the threshold, will grant him immunity from a trial are very small. That is why went for early elections. What is currently working for Gantz is momentum. The electoral achievement of the Kahol-Lavan List, which was established only six weeks ago, is unusual. But momentum is an elusive advantage: if it is not nourished by further achievements, it dissipates. The chances that Gantz will be the next prime minister are conditional on crossing the lines of at least one of the parties from the right-wing bloc. Ostensibly, Kahlon and Lieberman have no difficulty in doing so. They do not depend on what they think about in the synagogue or under the pressure of rabbis. Deri, in his big years, was capable of such an act. Now, in the dense, violent atmosphere that has conquered the political system, it will be much more difficult. Gantz has one more advantage: Netanyahu cannot promise the right-wing parties a government for four years. The indictments against him will hover like a black cloud above the coalition negotiations. Kahlon will threaten to resign if and when indictments are filed; The anger over the aggressiveness with which Netanyahu sucked up the right-wing voices over the last few days will be part of the difficult issues of the past and the hope among some of the Likud leadership that [Netanyahu] resign. Anger will translate into extortionist, unpopular demands. Not everything is acceptable Bibi, some of his past partners will tell him. Your behavior has a price. A look at the so-called lower playoffs, the fate of the satellite parties, needs some conclusions. First, these are the last elections in which Meretz appears as an independent party. Meretz is a left-wing party that has lost its appeal: it is too bourgeois for young people who are too revolutionary and it is too marginal and too extreme for older voters. 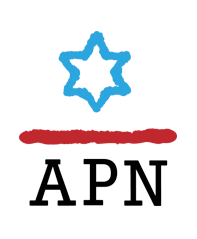 Either unite with Labor, or search for its future as a Jewish-Arab party, or disappear. The work will also change: Labor party chief Avi Gabbay will have to go. He had a good campaign, but his voters followed Gantz. His walk would make it easier to unite with Meretz. Yisrael Beiteinu also has a final contest as an independent party: either it will be swallowed up in the Likud or it will disappear. As long as the electoral threshold is four seats, each election will be a gamble. It is impossible to maintain a party. The same is true of Kahlon. The Arab sector will also have to undergo changes. It is possible that the predictions of a dramatic drop in the number of voters were excessive - according to Channel 12's estimate, the two lists achieved 12 seats, a decrease of only one seat compared to the Joint List. But everyone agrees that voters in the sector have lost faith in their representatives' ability to influence, improve their situation, and the willingness of the Jews, right and center to view them as partners, to see them as part of Israeli society. There is a vacuum here that requires filling. The mission is important to the entire Israeli society. Finally, the failure of the two lists that included the word "right" in their names - Hayamin Hadash (‘The new right’) and the religious right-wing party, which called itself "Union of right-wing parties." At the beginning of the campaign, I asked Ayelet Shaked why she thought voters on the right would vote for Hayamin Hadash - they’re happy with the old right. Bennett and Shaked did not understand how difficult it was to form a party from scratch, without the support of a constituency (Gantz understood and therefore united with Yair Lapid). Their campaign was childish - it managed to be viral in networks without bringing voters. Their crude assault on the High Court of Justice and on the defense establishment did not send them masses of voters: Netanyahu knows how to do it more effectively. As for the union between the Kahanists, the (Bezalel) Smotriches and the remnants of the National Religious Party, that points to a dangerous direction that should be left out of the circle of influence. The fact that Netanyahu pushed for this union shows what an abysmal leader he can be when he fights for his survival. Israel needs a unity government now (Ben-Dror Yemini, Yedioth/Ynet) Israel would benefit from a national unity government while a narrow coalition will continue down the wrong path leading ultimately to a bi-national state. 12 Takeaways From Israel's Looniest Election That Netanyahu Just Won. Or Is It Gantz? (Chemi Shalev, Haaretz+) U.S. Democrats, beware the powerful pull of tribalism and nationalism: If Netanyahu can win in 2019, Trump could win in 2020. The only political outlet that would save us from a dark and dangerous government - a unity government (Menachem Ben, Maariv) Netanyahu and Gantz will have to leave behind the mutual disqualifications in order to save Israel. The first, as prime minister, will have to face the Deal of the Century. The second, as defense minister, will face Gaza. With Netanyahu Victory, It's Time We Admit: Israel Has Become a Dictatorship (Bradley Burston, Haaretz+) It was the election itself that provided the surest proof that Israel under Netanyahu's leadership has transitioned to dictatorship. Netanyahu or not? (Sima Kadmon, Yedioth/Ynet) This election is not about pressing issues such as the volatile security situation or the catastrophic state of the health system, it is about one thing - whether we want more of the same regime or will take a chance on something new. The Caesar From Caesarea (Nehemia Shtrasler, Haaretz+) Benjamin Netanyahu wasn’t born corrupt. He didn’t enter government to get rich. He came to do what was right, and for several years, he even did so. But then in 2015, there was a metamorphosis. The first job is to repair the rifts ( Ariel Kahana, Israel Hayom) Both the Right and the Left dealt plenty of low blows in this election campaign but now it's time for Prime Minister Benjamin Netanyahu to remember how close he came to losing and abandon his policy of attacks. If you think the Israeli election campaign was revolting, just wait for when Netanyahu wins (Yossi Verter, Haaretz+) Just wait until 10:05 P.M. Tuesday when the coalition-building negotiations begin. Six comments on what was, and what could be. Prime Minister on probation (Sima Kadmon, Yedioth) Both large parties declared victory yesterday. They are both right. THe difference is that even if the government that is formed is a Netanyahu government, it will be short-lived. Netanyahu is edging closer to Arab countries, just not the way you think (Zvi Bar'el, Haaretz+) Slowly but surely, the long-standing prime minister and his bunch are shaping Israel into a reflection of neighboring regimes. Final Salvo of Netanyahu’s Campaign Shows Direction He’ll Take if He Wins (Amos Harel, Haaretz+) In the home stretch, the prime minister used his connections with world powers, exercised restraint with Hamas and took a tough line with the Palestinian Authority. How Israel's Resurgent Right Wing Killed Politics, Silenced the Left, and Pushes Autocracy - or Theocracy (Hagar Shezaf, Haaretz+) In Israel's Orwellian elections, national 'unity' means no Arabs, self-censorship is rife, 'freedom' is vague and fear is a core political asset.